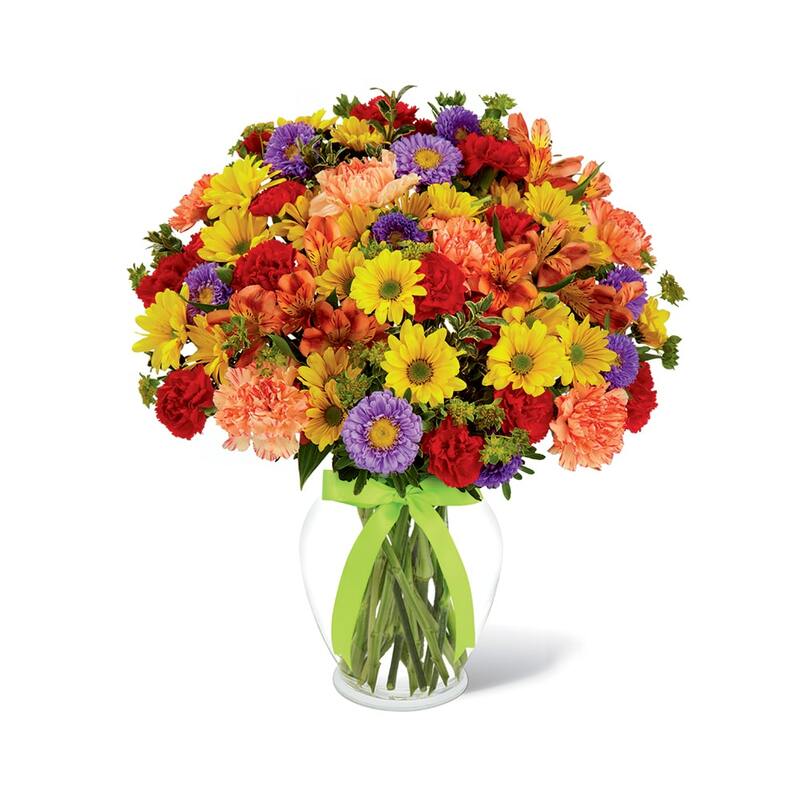 All the frills and every color under the sun, this fresh flower arrangement is ready to brighten your recipient’s day! 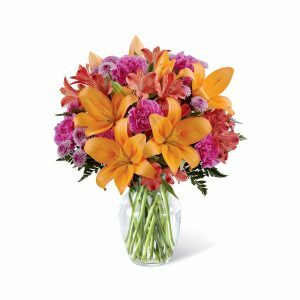 Yellow daisies, orange Peruvian Lilies, lavender matsumoto asters, orange carnations, and red mini carnations are accented with bupleurum and lush greens to create a fascinating display. 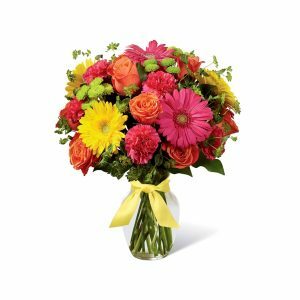 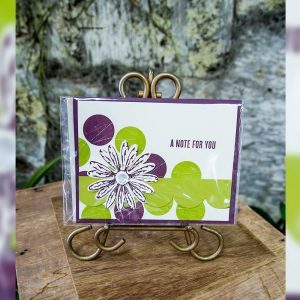 Presented in a clear glass vase tied with a lime green ribbon at the neck, this flower bouquet is set to send your warmest wishes in celebration of their birthday, to express your thanks and gratitude, or to tell your recipient to get well soon! 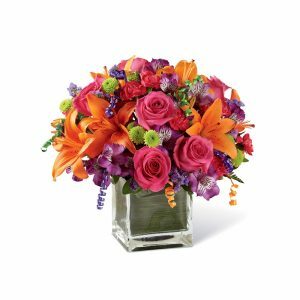 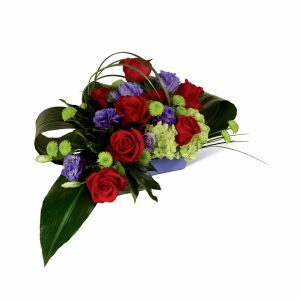 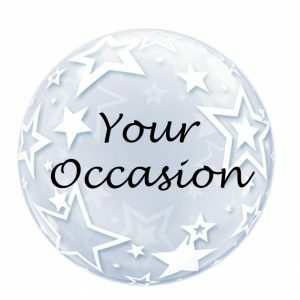 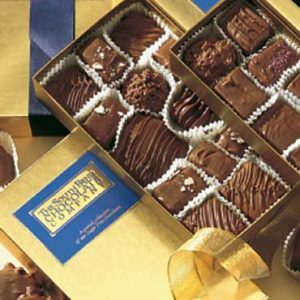 A premium floral arrangement - The design contains even more flowers or higher value flowers in the same style and colors as the standard and deluxe versions.